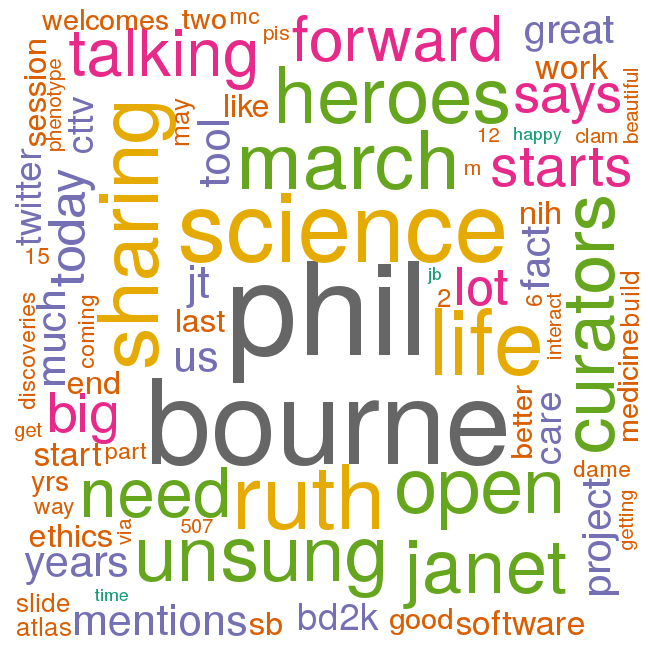 I have been happily tweeting the BioMedBridges meeting in Hinxton last week using the #lifesciencedata hashtag, along with more than 100 others, though a small subset was really active. A lot has been published about using Twitter at conference, like the recent paper by Ekins et al (doi:10.1371/journal.pcbi.1003789). The backchannel discussions only get better when more and more people join, and when complementary information is passed around. For example, I tend to tweet links to papers that appear on slides, chemical/protein structure mentioned, etc. 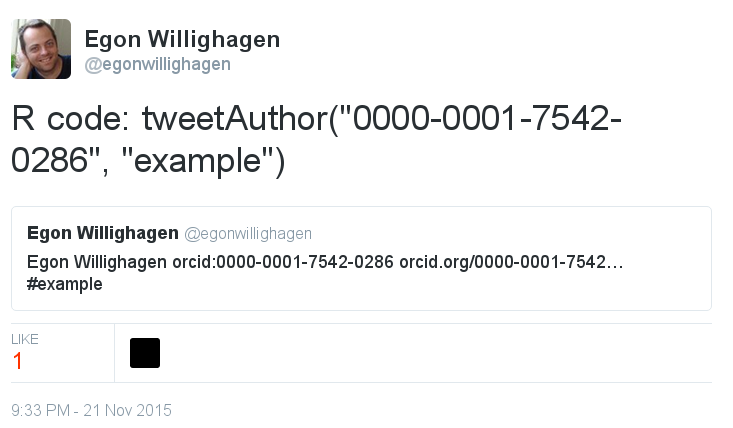 I have also started tweeting ORCID identifiers of the speakers if I can find them, in addition to adding them to a Lanyrd page. Like at most meetings, people ask me about this tweeting. Why I do it? Doesn’t it distract you from the presentation? I understand these questions. First, I started recording my notes of meetings electronically during my PhD thesis, because I needed to write a summary of each meeting for my funder. So, when Twitter came along, and after I had already built up some experience blogging summaries of meetings, I realized that I might as well tweet my notes. And since I was looking up DOIs of papers anyway, the step was not big. The effect, however, was use. People started replying, some at the conference itself, some not. This resulted in a lot of meetings with people at the conference. Tweetups do not regularly happen anymore, but it’s a great first line for people, “hey, aren’t you doing all that blogging”, and before you know it, you are talking science. Second, no, it does not significantly distract me from the talk. First, like listening to a radio while studying, it keeps me focused. Yes, I very much think this differs from person to person, and I am not implying that it generally is not distracting. But it keeps me busy, which is very useful during some talks, when people in the audience otherwise start reading email. If I look up details (papers, project websites, etc) from the talk, I doubt I am more distracted than some others. Third: what about keeping up. Yes, that’s a hard one, and I was beaten in coverage speed by others during this meeting. That was new to me, but I liked that. Sadly, some of the most active people left the meeting after the first day. So, I was wondering how I could speed up my tweeting, or, alternatively, how it would take me less time so that I can read more of the other tweets. Obvious candidates are blogging additional information like papers, etc. So, I started working on some R code to help me tweet faster, and using the great collection of rOpenSci packates, I have come up with the following two first helper methods. In both examples, I am using an #example hashtag. This makes use of the rcrossref package to fetch the name of the first author and title of the paper. Or perhaps, tweeting people. This bit of code makes use of the rorcid package.